“or your body and mind. 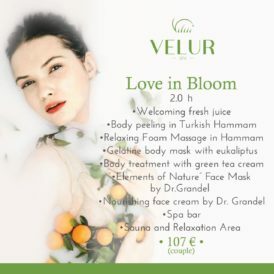 An Elevated Experience with Remarkable Results at Velur Spa” Velur Spa I enjoyed,indulged pampering, An Elevated Experience with Remarkable Results. I absolutely love this place! Very high quality and the staff is very friendly. Can't wait to setup another appointment Velur Spa is your one-stop shop for all of your beauty needs. 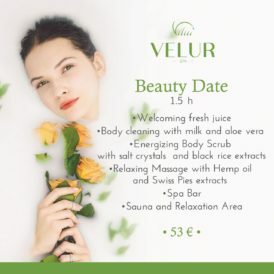 After a long week of stress, you deserve to feel pampered at Velur Spa. 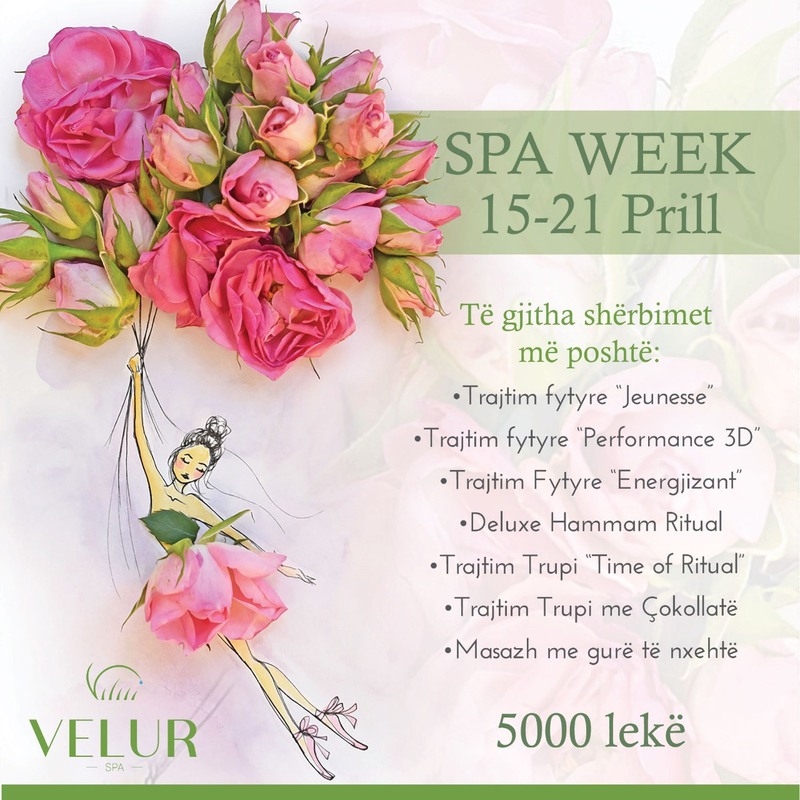 “Spa holiday ” Check out the Velur Spa on your next visit to tirana albania. I went there the last time I was there. Its was a very good experience. “Very relaxing hot stone massage” On a business trip to Tirana, I took a hot stone massage at Velur on my Sunday off. Was a great idea! They had an opening for me two hours after I called. Everything is very clean and a very calm and relaxing atmosphere. Would definitely go here again. “Excellent ” My wife was actually there, and I could hear only compliments. She had a massage, pedicure and blow-dry. Staff very friendly and professional. SIGN UP FOR SPECIAL OFFERS & GET DISCOUNT!